Weeks after the 2002 American invasion of Afghanistan, Medea Benjamin visited that country. There, on the ground, talking with victims of the strikes, she learned the reality behind the "precision bombs" on which US forces were becoming increasingly reliant. 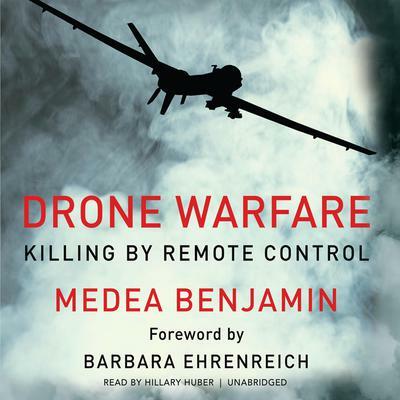 Now, with the use of drones escalating at a meteoric pace, Benjamin has written this book as a call to action: "It is meant to wake a sleeping public lulled into thinking that drones are good, that targeted killings are making us safer." Drone Warfare is a comprehensive look at the growing menace of robotic warfare, with an extensive analysis of who is producing the drones, where they are being used, who "pilots" these unmanned planes, who the victims are, and what the legal and moral implications are. In a vivid, accessible style, the book also looks at what activists, lawyers, and scientists are doing to ground the drones and considers ways to move forward. In reality, writes Benjamin, the assassinations we are carrying out via drones will come back to haunt us when others start doing the same thing-to us.